Richmond, B.C. – June 22, 2016 – Grovfjord Mek. 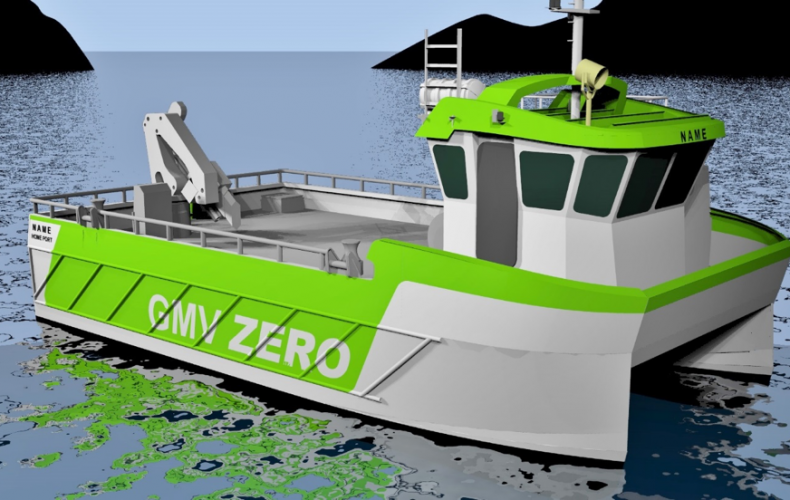 Verksted AS (GMV) has selected Corvus Energy as the supplier of the lithium ion based energy storage system (ESS) for a fish farm support vessel called GMV ZERO. GMV will utilize Corvus’ next generation Orca Energy ESS to support the vessel’s entire energy requirements for zero emission fish farm operation. 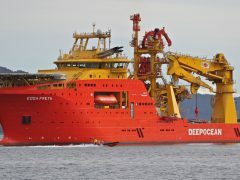 Orca Energy is part of the recently announced Orca ESS product line from Corvus which is specifically designed for maritime applications. “Our teams take great pride in the fact that our products are being applied to projects such as this one, with the goal of zero emission operations”, said Roger Rosvold, Sales Manager at Corvus. “In the past, there was a trade off between financial feasibility and environmental responsibility. That is no longer the case with the Orca ESS product line.” In addition to its compelling total cost of installation and the purpose built performance characteristics, the Orca product line also includes significant safety innovations. One such innovation is cell-level thermal runaway isolation which does not require an active cooling technique, such as liquid cooling, for it to be effective. With numerous leading innovations, Orca ESS is quickly becoming the industry’s safest & highest performing maritime ESS solution.